Most concrete is reinforced to provide additional strength and protection to the concrete structure. This includes reinforcement bars (REO) and mesh placed inside concrete slabs to post tension cable to provide large scale structural support. When attempting to penetrate areas with steel reinforcement, depending on the type and quantity, significant difficulty can be encountered. Issues such as a safe location to penetrate as well as what, if any steel, is safe to cut. The method to be used to perform the cutting is also important to ensure the task is completed without damage or danger. 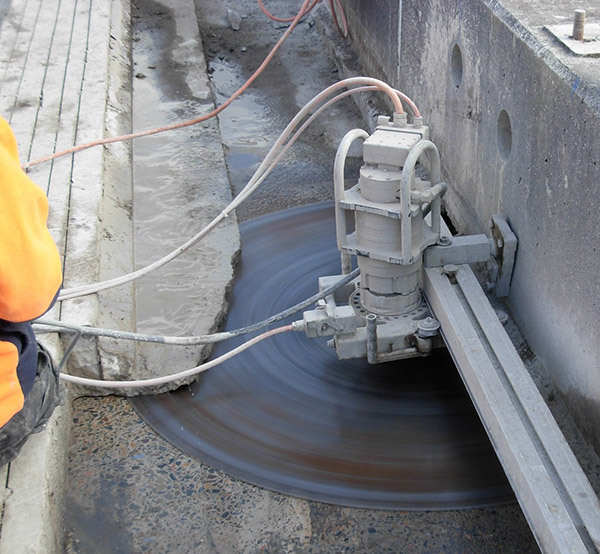 Below we provide some examples of different reinforced concrete cutting application. 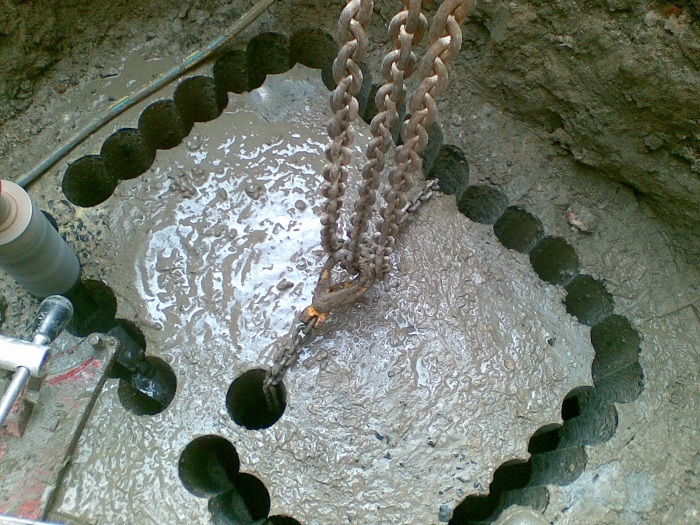 Also listed are various concrete cutting methods available to perform reinforced concrete cutting. To finish we provide details of some companies we have found to be both capable and reliable. 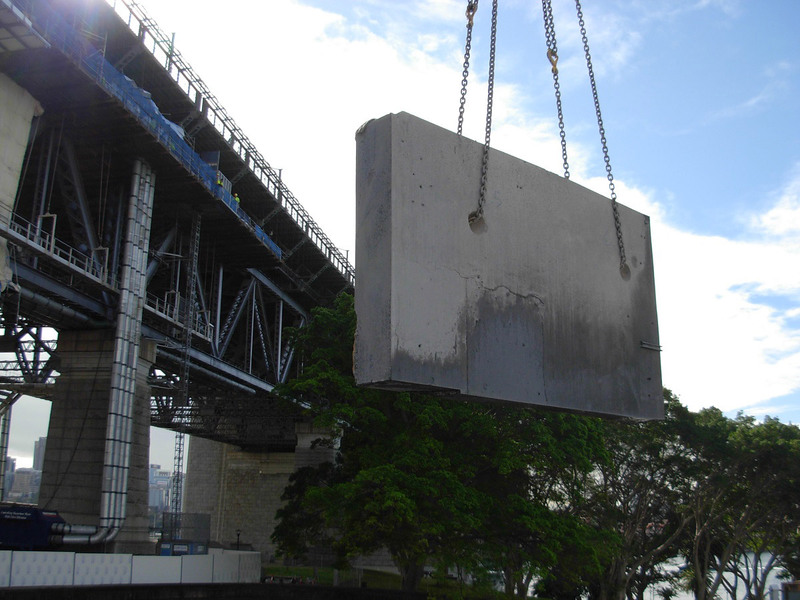 They have been cutting reinforced concrete in Sydney for a long time, successfully completing some of Sydney's largest projects. Further to this, they also service all segments of the market including residential, commercial, infrastructure, and government. 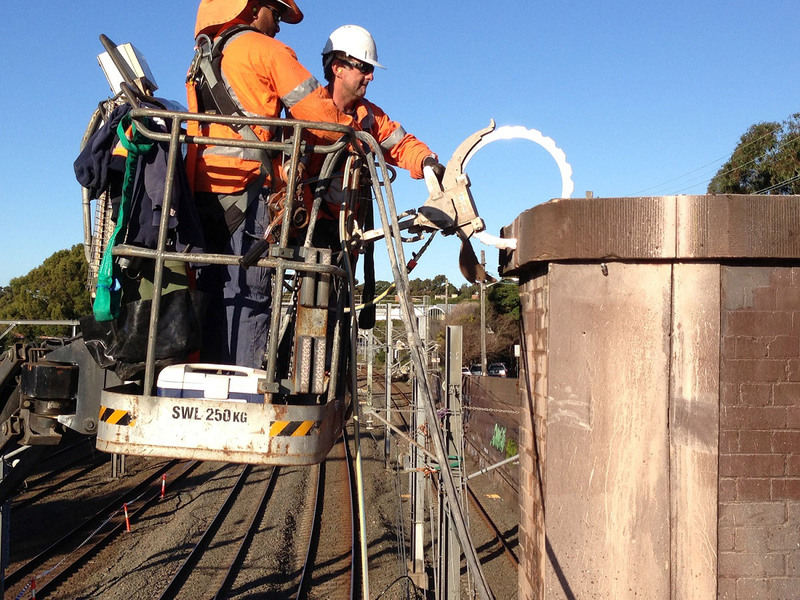 Removing head stock at Davis road Bridge over live railway using a wire saw. A track saw is used to remove top of lift shaft plant room at the Park Hyatt in Sydney. Hand held saw cutting is very versatile and can be used in nearly every situation where cuts are required. Numerous hand held sawing options exist these days including the standard demo saw, ring saw, dragon saw and flush cutter. This allow for cutting depth of up to 400mm using a hand saw. The ring saw and Dragon Saw differ from other saws because the blade is not put on a spindle, the blade has no core (center) and it rotates on a roller system. Hand held sawing (using a Dragon Saw) to cut 400mm deep rebate in brick wall for new concrete panels to be placed. Ring Saw used to cut 270mm thick concrete beams once floor removed. Road sawing, also known as slab sawing or floor sawing, is used to cut horizontal flat surfaces such as concrete floors, tiles, pavers, brick floor, cobble stone, bridge decks, roadways and pavement. Improvements in sawing technology has resulted in the manufacture of machines able to cut 600mm deep. Due to their versatility and scope, saws are driven both by diesel fuel and electric (to facilitate work in poorly ventilated areas such as indoors). Road sawing suspended slab (pre cutting to 170mm deep) using a Husqvarna 4800D. Road Sawing suspended slab (last stage) 350mm deep. Saw able to cut 400mm deep. Wall sawing employs a diamond blade on a track-mounted system that can be used for vertical and horizontal cuts. Wall Saws are able to cut quickly and accurately from any position - even upside down. It can be mounted at an angle or adapted for flush cutting next to a wall or along a floor as needed. Wall saw blades can range from 457mm to 2.2m in diameter and can cut up to 1000mm in depth. Wall sawing with flush cut attachment to cut concrete hobb off bridge. 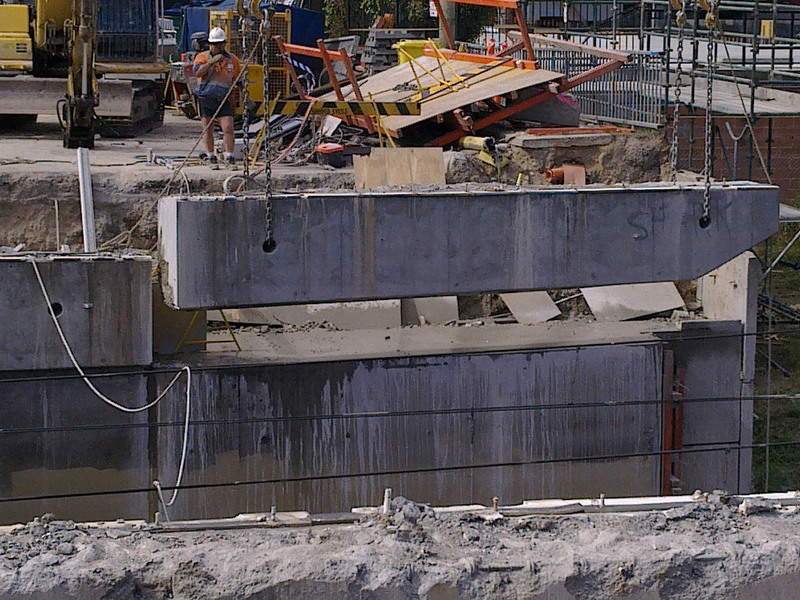 Wall Saw used to remove over 100 tons of suspended concrete floor in Surry Hills. Diamond core drilling or "coring" is the process of drilling perfectly round holes through concrete, brick, masonry, stone, and asphalt structures such as walls, floors and ceilings. Diamond core drills can be operated in any orientation, vertical, horizontal and even inverted (upside down). Confined work area. No over cutting permitted. Stitch drilling is a good alternative for limited work areas. 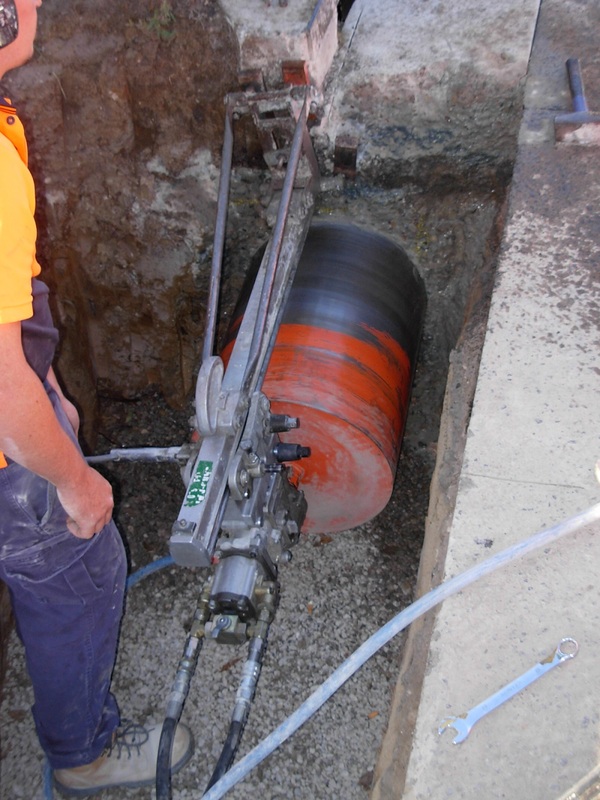 Core drilling horizontally through existing footing to run services. 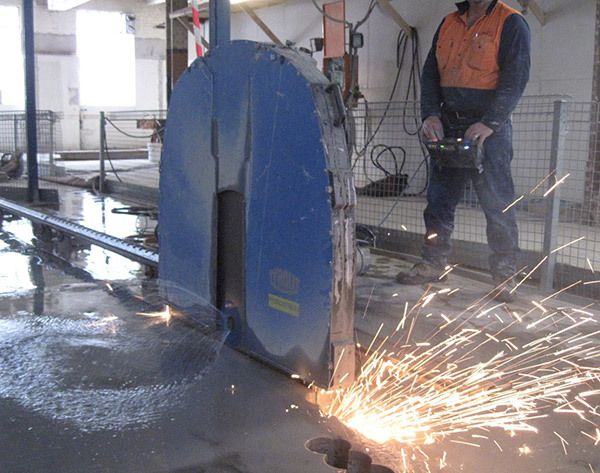 Concut NSW Established in 1958, Concut NSW have been at the forefront of sawing & drilling industry for over 55 years. They have the equipment and experience needed to complete any job. 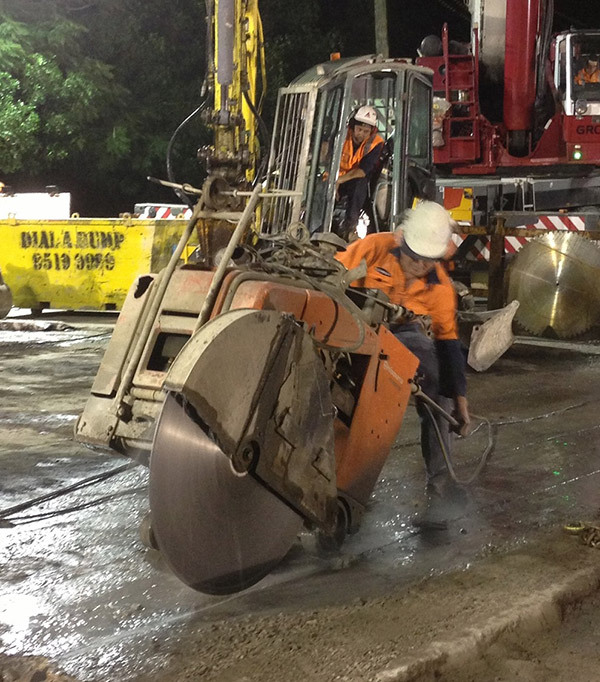 Online Concrete Online Concrete Cutting Services are an extremely professional organisation, achieving a higher level of accreditation than all of their peers. (CSDA Level 1 Certification, WHSMS Compliance). For more information about Hand Sawing, Road Sawing, Wall Sawing, Wire Sawing or other related services, please contact one of the companies listed in the get a quote section. 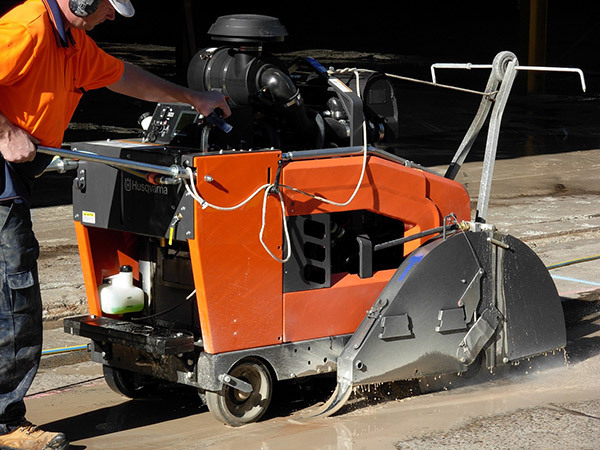 Our website: reinforcedconcretecutting.com.au is designed to provide an overview of the various concrete services available, and help refer people to respected providers. Should you wish to speak to someone directly for more information, we recommend calling Concut NSW on: (02) 9620 4444. Please remember to mention "CUTTING11" to recieve a discount on your quotation.